Lululululu for him, for all of us! 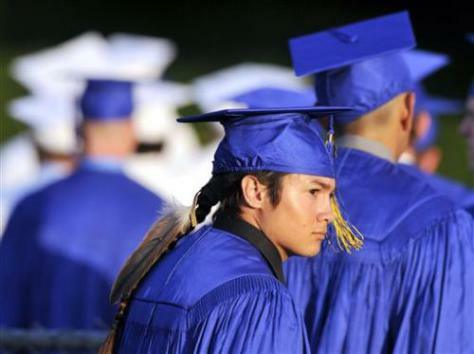 SAN FRANCISCO – A Native American student wore an eagle feather that he considers sacred to his high school graduation ceremony after resolving a court fight with a California school district. Christian Titman, clad in blue with his fellow graduates of Clovis High School, marched into the stadium at sunset Thursday, his long braid with the eagle feather attached came out one side of his cap while the traditional graduate’s tassel hung over the other side.